Oh, Bonne Bell. Can you please stop holding my heart already? Okay, we all know that's never going to happen ... our love affair is long, deep and beautiful. And it just continues, thanks to Bonne Bell Lip Smacker Strawberry Cotton Candy Lip Balm. Like all Lip Smackers, this is a flavor that's sweet and delicious. It tastes exactly like strawberry cotton candy! It's just such a delight to open it up and let the delicious scent waft out before I swipe it onto my lips. And, also like all Lip Smackers, it nourishes and moisturizes my pout better than any other lip balm I've tried. I've seriously tried every single lip balm out there and Lip Smackers make my lips feel better than all the rest. They hydrate my lips for hours on end, even keeping them soft while I'm sleeping! I've been keeping this flavor in my car so I can slick my pout with it during my long drives to and from work. It definitely helps perk up the commute of 45+ minutes! Strawberry Cotton Candy? How sweet it is! Bonne Bell Lip Smacker Strawberry Cotton Candy lip balm retails for $2.50 at lipsmacker.com. Now that's a walk down memory lane! I thought LipSmackers were going away. Glad they're not! This is cute. I love that you still use them - you are always so young at heart. I grew up on Bonne Bell Lip Smackers, and Maybelline Kissing Potion too, Erika! I don't think that I have ever tried this flavor, Jamie! Strawberry was always my favorite, but Watermelon was a close second! Lip Smackers are so fun! They always taste so good. Bonne Bell Lip Smackers are seriously the thing my childhood was made of. Love them, this is an adorable post! 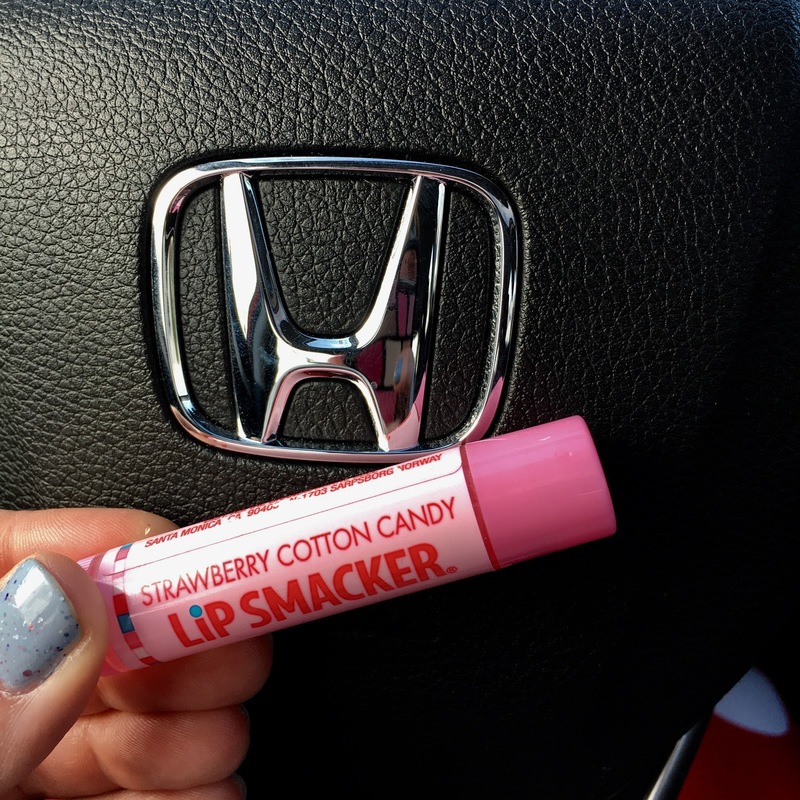 I haven't had a tube of classic Lip Smackers in ages but this sounds so good! Take me right back to 5th grade! LOL love it! Oh my gosh... I literally just flashed back to 4th and 5th grade... Love it. Strawberry and Pepsi was my favorite and definitely two that I still continue to pick p when I see them.